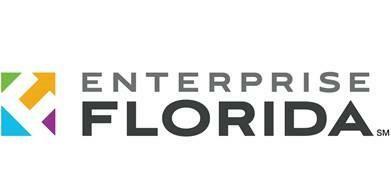 Enterprise Florida, is facing a major reorganization. That’s after the legislature denied a request from Gov. Rick Scott to give the agency $250 million for economic incentives. At the start of the last legislative session Scott told the legislature without more money for Enterprise Florida, the state could start losing jobs from companies that would otherwise consider a move to Florida. Scott spoke about the issue during a meeting with Enterprise Florida board members. “Here’s where we’re going to end up, basically where Enterprise Florida is—basically out of money. So for the next five and a half months left in this fiscal year we can’t do a deal. What that does to you is you deal with these 6,000 or so site selectors in the country and they say ‘why talk to Florida? Why waste the time?’ And you know how it is in business. Once you lose your momentum, it’s hard work to get it back again. We had momentum,” Scott says. And toward the end of the legislative session it appeared the governor would get the funding he’d requested. The governor and senate president spoke with members of the press during the height of the budgeting process. Here’s Senate President Andy Gardiner. “As of right now. The Senate position for the $250 million is, as I’ve said, the governor has made a very strong case. And we’re kind of building the budget right now," Gardiner says. But by the end of the session the legislature had zeroed out nearly all of the new economic development dollars heading to Enterprise Florida. Lawmakers did fund the agency’s operating budget. And now Gov. Scott is looking for a way forward. 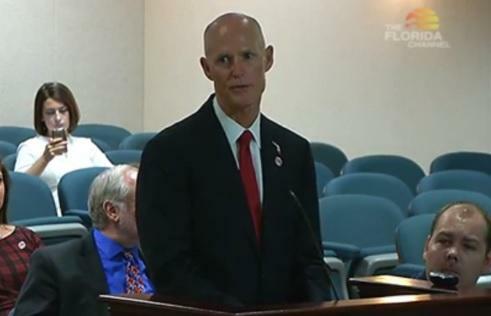 In a letter the governor sent at the end of March to Enterprise Florida’s board, Scott says he’s left with no choice but to “refocus the efforts and mission of Enterprise Florida.” Scott talked with reporters about the plan after a recent cabinet meeting. “You know, we have to be going through and saying what are we going to be doing now? So Bill Johnson is going to be helping with that review, David Wilkins is going to be helping with that review. It’s really go back. And I think we ought to be doing it with a lot of things. It’s go back and say, okay, how do we spend the dollars, let’s make sure dollars are spent well and we’re going to get a return and that’s what we’re thinking about doing,” Scott says. In his letter Scott says he’s asked former Department of Children and Families Secretary David Wilkins to help identify $6 million in savings from the state funding Enterprise Florida did receive. Scott points out the agency spends $9 million in payroll and some have questioned whether that will mean pink slips for agency workers. Scott echoed his pervious answer, saying David Wilkins and Bill Johnson will take a hard look at the agency’s spending. Johnson served as Enterprise Florida president and CEO before he abruptly stepped down around the time the governor sent his letter. But Scott maintains Johnson will be part of the transition. Scott praises Johnson for his work, but says it’s time for Enterprise Florida to change. “The legislature didn’t fund the quick action closing fund. It’s a lot of what Enterprise Florida does—go out and try to attract different companies. We have won over 500 competitive projects, all across the state but, look we’ve got to transition Enterprise Florida. They’re not being funded the same way,” Scott says. Scott says he’d like to look for ways to transition Enterprise Florida from a largely state funded entity, to one with a greater dependence on private funding. He’s asked Wilkins to identify Enterprise Florida functions that could be privatized. Wilkins is expected to present his findings at the agency’s board meeting in May. Several of Florida’s state agencies are facing vacancies. Veterans Affairs chief Mike Prendergast is stepping down to run for Citrus County Sheriff, the state is looking to replace Insurance Commissioner Kevin McCarthy who is resigning in early May, and the search continues at the Florida Department of Revenue. 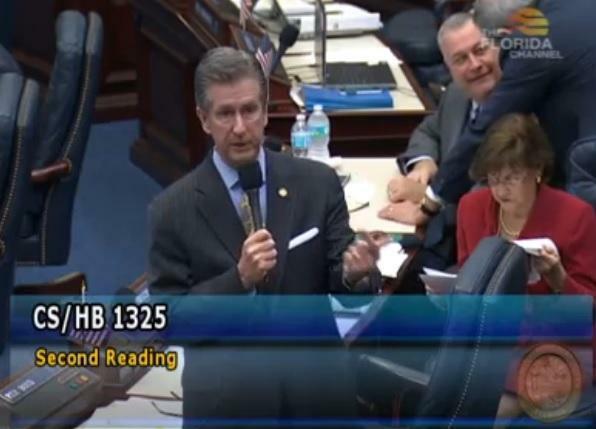 The Florida House took up the Governor’s primary economic development proposition. But House lawmakers are pulling out all the stops in hopes of getting it across the finish line. In a rare move, Florida Gov. Rick Scott came before the House Finance and Tax committee Tuesday to lobby for his budget. Scott’s proposal includes more than a billion dollars in tax cuts.